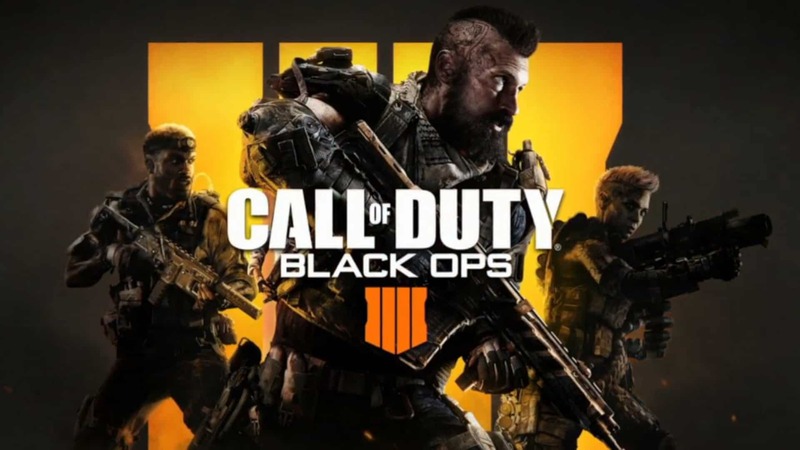 When Activision Blizzard executives and Treyarch team members went on stage during the grand Call of Duty: Black Ops 4 reveal live stream, they delivered “more information than ever before”, and rightfully so. Black Ops 4 appears to be the biggest game in the franchise in years. However, throughout the entire presentation there was one glaring omission that resulted in one obvious fact: Call of Duty: Black Ops 4 has no singleplayer campaign. It should be noted that the game can be played alone, for the most part. Black Ops 4 will feature special solo missions and matches for every Specialist, as well as specially designed Artificial Intelligence – a Call of Duty first – for the series’ Zombies game mode. This means that you can also play through the entire Zombies campaign with AI buddies. Think Left for Dead. In a few interviews, Treyarch confirmed that there would be no campaign and explained why that was the course they took with the new title. According to Dan Bunting, studio head at Treyarch, Singleplayer was not a part of development for the game. “When we set out to make this game, we never started with the idea that we would make a traditional campaign”, Bunting told Polygon after the live stream. “We started from a place that we were gonna [sic] make a game that across the board can be playable with friends”. Bunting explained that it has been Treyarch‘s mission “from day one”. Bunting also stated that the team wanted to challenge their conventions by trying different things. Sometimes those things “are bold and crazy and innovative” and sometimes they “don’t always work out”. Bunting stated that the team always tries to push the best ideas forward and that is what is reflected in the game they have created. I guess the notion that Call of Duty: Black Ops 4 has no singleplayer is definitely different, versus being innovative. In response to Polygon‘s earlier reports that the game might not include a campaign, Bunting stated that player interaction for the series had changed. In recent years, the trend seemed to be “more and more” geared towards the ‘social’ element of playing online. Bunting stated that multiplayer has always been a big part of the series. He spoke of how many more players have joined the multiplayer fun since he started on multiplayer in the Call of Duty franchise. Specifically, Bunting mentions that 10-percent of the player base was playing competitively at first. However, by 2015 or 2016, that number rose to around “90 percent of [Call of Duty] players”. As such, the team decided to focus solely on multiplayer, right from the start. Lastly, Bunting went over future plans for the game. When asked how their goal of not focusing on singleplayer would influence the future downloadable content, Bunting remained vague, mentioning only that Treyarch‘s goal is to make fans happy and that they believe the content to come is the right thing for the game’s lifespan. Whatever the case may be about the fact that Call of Duty: Black Ops 4 has no singleplayer campaign, I must confess that I was a bit bummed that it would not be included. With that said, I am a huge fan of the Battle Royale genre and might find it a decent replacement. Only time will tell, however, how long it will keep fans like you and me playing after it releases on PlayStation 4, Xbox One, and Microsoft Windows on 12 October 2018.